Welcome to the new school year! 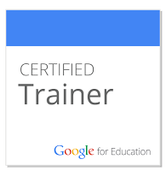 STEM lab starts up next week, and in the meantime I am test-driving some new lessons. 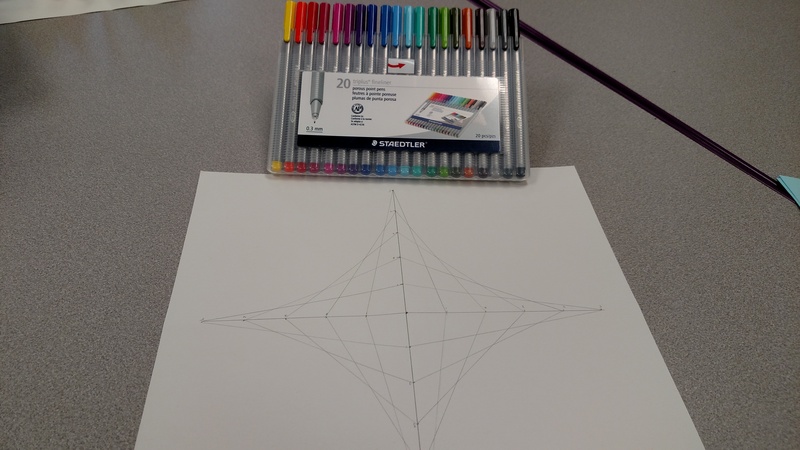 I recently found a handful of math art activities, and since I’m always looking for ways to tie the arts in and make STEAM, they seemed perfect. The first one is parabolic curves. 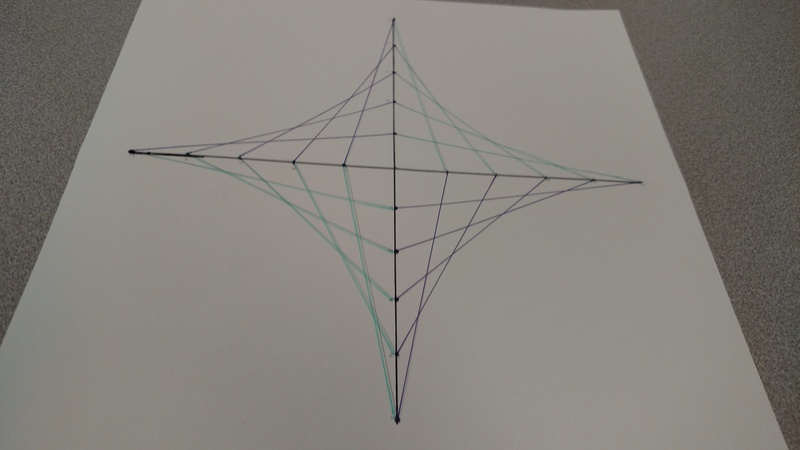 This is a pretty neat visual lesson, because we are going to make a ‘curved’ line using only straight lines. We get our curves by connecting points that are equally spaced along lines meeting in a right angle. 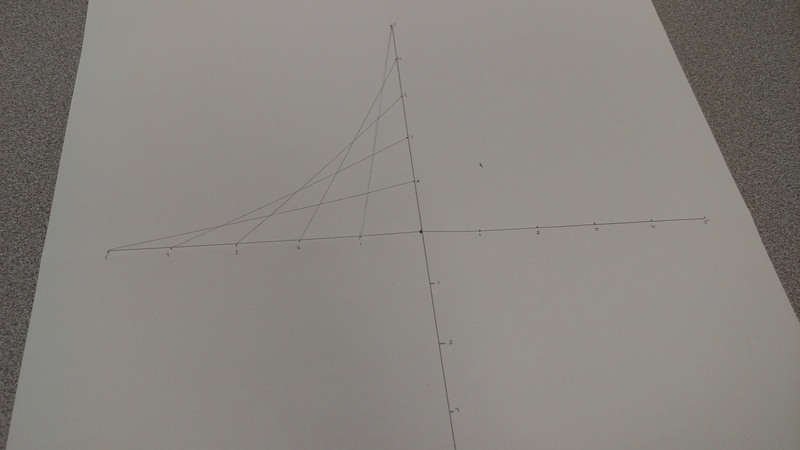 The more points, the more curved your parabola will appear. 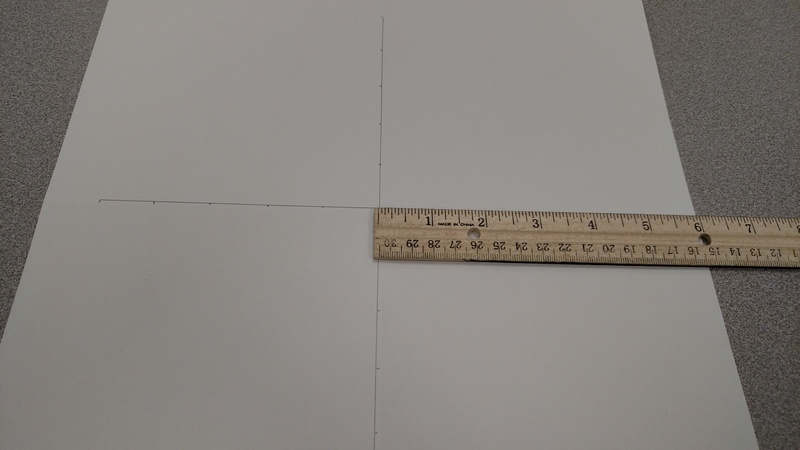 To begin, find the center of your 12×12 paper. I find it easiest to fold it in half twice, then open it up. Where the folds meet is the center. 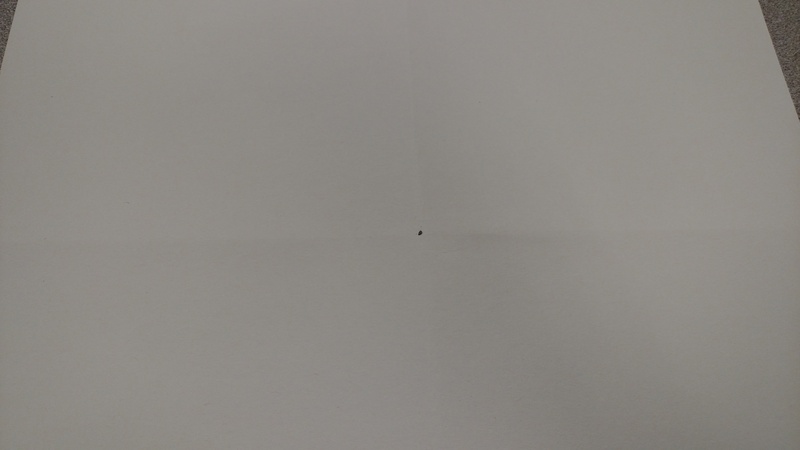 Use your pencil to mark the center with a dot. 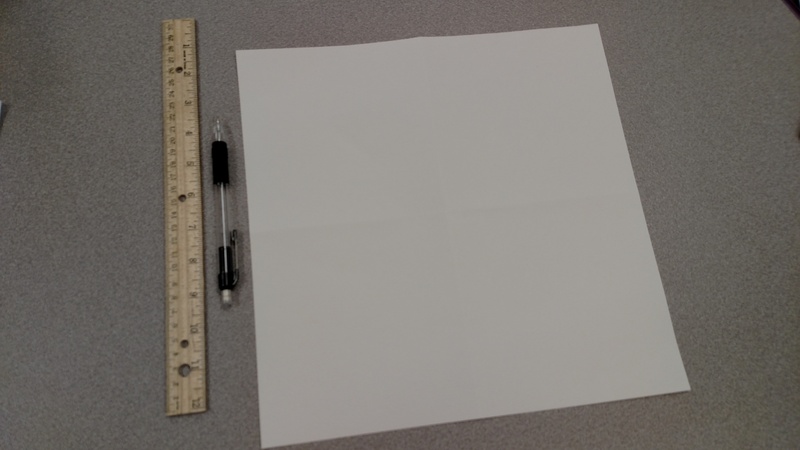 Next, place your ruler across the center of the paper with the dot at the 5″ mark. 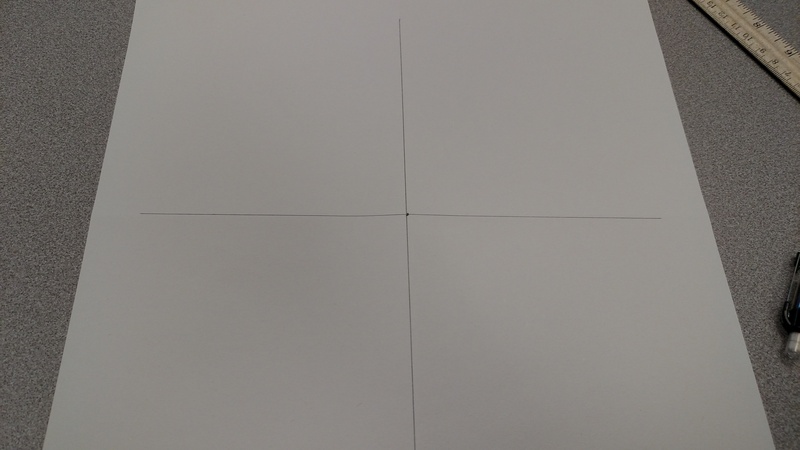 Draw a line that is 10″ long, with the dot in the center of it. Repeat this in the other direction to make a plus sign. Now, start at the center dot, and mark one inch intervals along one leg until you have five marks. Repeat for each leg. Then, starting at the dot, lightly number the marks 1-5, with the one always being the closest to the center dot and the five always being at the farthest point of the leg. 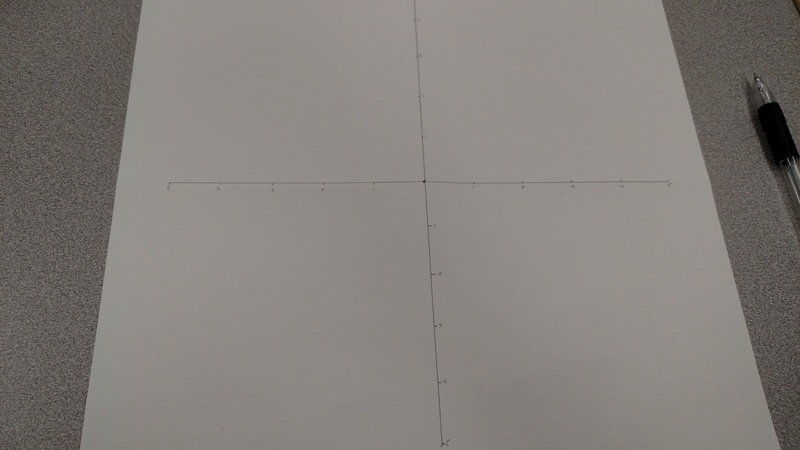 Notice that although we used only straight lines, it looks like a curve! Now it’s time to finish it up. Break out the gel pens or markers (fine point is best) and go over your penciled in lines to create your work of art. You can also try shading in some of the boxes if you want. Last, you can go back and erase your pencil marks to leave just your colorful design. This is a great way to tie in a lot of math concepts. 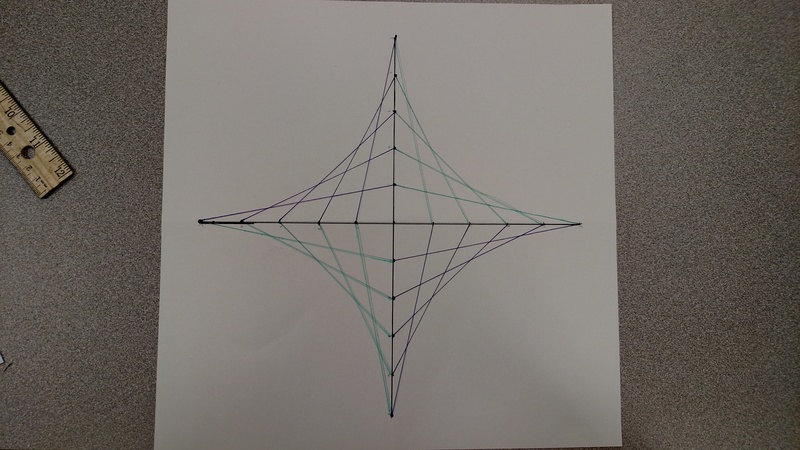 Beyond just parabolas, it also includes measurement, patterns, addition, and angles. Want to go further with it? 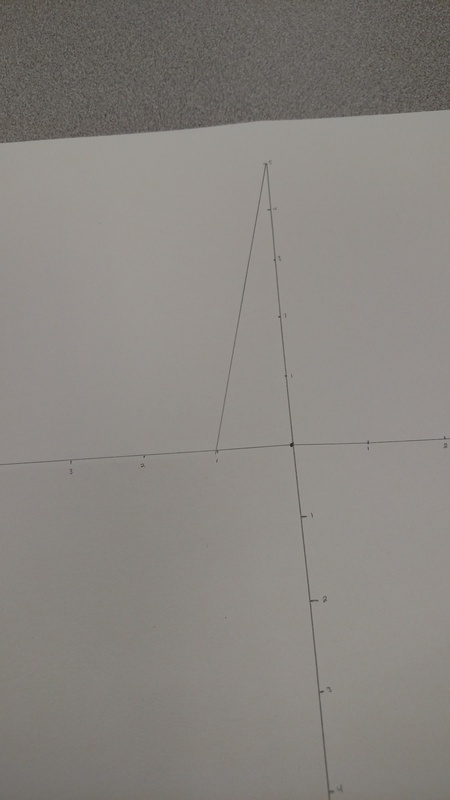 What happens if you change the size of the intervals along the right angles? 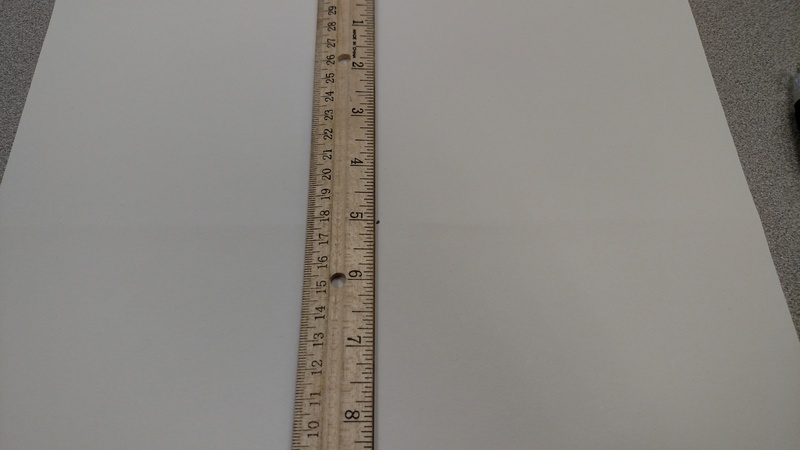 Try 1/2 inch, or 2 inch. 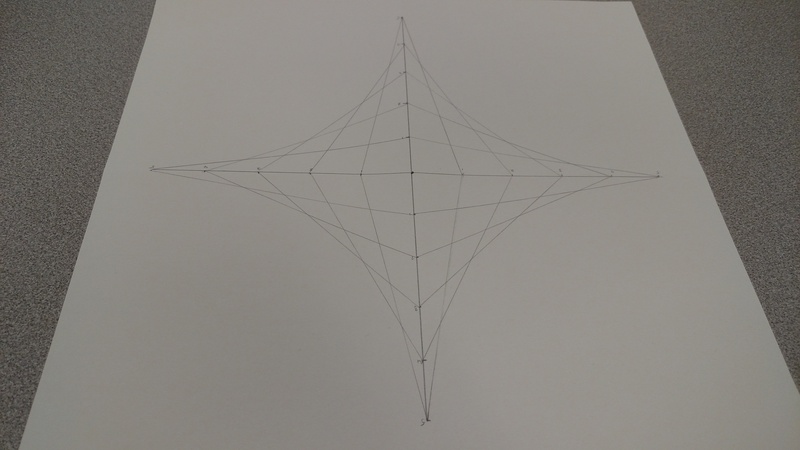 What about combining several of these to make larger shapes and patterns? 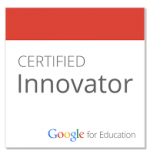 There are a lot of great ways to extend this easy project.